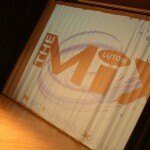 The Mix Luton is the Music Education Hub for Luton, led by Luton Music Service. It is a group of schools and music organisations who are working together to provide the best possible music-making opportunities for children and young people in the Luton area. 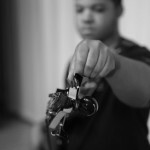 Gigajam was introduced in September 2014 and is available to all schools in Luton via the Online Music School. 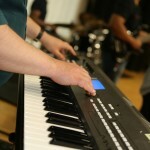 The music school is accessible to all pupils in school and from home via the web. It forms a part of the Music Services’ delivery of its core role as a music hub which is to provide quality first access opportunities. The Mix have initially supported a base at Sundon Park Junior School where it used as part of the curriculum for music at KS2, ensemble opportunities and enrichment. As part of our continued series of case studies, focusing on how our education clients use Gigajam, we spent the afternoon with Phil Knight, Music Service lead for Gigajam in Luton and discussed with him his experience of facilitating and teaching. We have also participated in delivery discussions with senior leaders from The Hub in partner meetings and at conference. What problems were The Mix trying to solve? As part of the Core Role of a music hub The Mix are focused on developing and delivering outstanding first access programmes to pupils in Luton Schools. It was identified that the programmes of first access needed to be broadened and diversified to increase the range of styles and genres available in programmes. One genre to be added was Rock and Pop and there was a need to increase use of technology and music technology. How have you implemented Gigajam so far for Luton? Gigajam is available to all Luton schools via the Online Music School, but we have been working with Sundon Park Junior School to provide a starting base. The school has a space for music learning which has access to computers and good internet access. The MIX have provided some instruments to support the programme, together with a lead facilitator to support the teachers and teaching assistants. Gigajam provided training to the Music Service and Phil Knight, a guitarist with the Music Service leads and delivers Gigajam at the school. The programme is for a full academic year and is for all year 5 and year 6 pupils. Currently this numbers 167 pupils and they all receive a 30 minute lesson every week where they come to the music learning base. Pupils can learn the guitar, bass, keyboards and drums and have selected instruments that suit them by having the chance to switch. Pupils are actively supported by Phil as they come each week and develop their skills. They follow the lessons, and upload their performances of the exercises in the courses to their portfolios held in the Online Music School. They know where they are up to and how well they are doing and can pick up straight away from the previous lesson. The lessons are highly practical so pupils are playing all lesson. 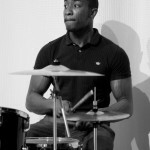 Phil has arranged a couple of concerts and pupils have worked on tunes he has organised, as well as performed the graded pieces from the Gigajam course. Being able to provide access to all pupils across a region in the traditional manner is unaffordable and, if it there was the money available there would not be enough teachers to deliver, so we needed scalable, sustainable solutions for mass education models. Gigajam’s use of standard web technologies makes it easy to deploy and see the pupil’s progress – not only essential for providing good continual and formative assessment for pupils, but also for reporting back to the Arts Council. We can show each pupils progress and work instantly, as it is all held on the Music School. It is always daunting using technology so heavily and we did have specific difficulties with the guitars with the younger pupils in terms of size. They were constantly pulling cables out of the computers when handling the guitars, but that has settled down and a good set up has been developed. More pupils are using keyboards and drums, which work very well with this age group and we have found them easier instruments for pupils to start on. However, after delivering the first few lessons we have settled into a good pattern and mostly the pupils simply come in and get on with the lessons. In a class there are pupils learning guitar, bass, keyboards and drums. It did become apparent that having the instruments out was key as this saved time at the beginning of each session so that pupils could get straight on with the learning. These are active lessons, so the activity needs to start straightaway to maximise the time available. Measuring impact is both obvious from the activity in each lesson, with the pupils working considerably harder than in a more didactic teacher led session. You only have to walk into the room to see the learning going on – pupils are working hard on their own, together with peers, on task, in a group. Harder measures are also a major part of the Gigajam system with pupils encouraged to record and upload every attempted exercise so they can see their progress at each step of the course. Overall our pupils have responded very well to Gigajam. We have 51 pupils who are scoring at above the pass rate for graded examinations and 61 pupils who have made significant progress through the course already. Currently, this year’s 167 pupils have uploaded just under 9,000 exercises, which is a huge amount of recorded hard work.. Constant and continual feedback helps pupils’ understanding of how they are doing and what they need to do to improve so they feel well supported in their learning and can see exactly how they are progressing. It is very different – there is much more support work, than traditional delivery, sometimes the support is with the computers when they misbehave, as we all know that happens, but also in supporting the learner get on with their learning on their own – the pupils want and need to be active with Gigajam – it is almost entirely in the doing and that means I (Phil) have to move around the class helping pupils when they have a problem. The thing is you can see pupils making progress – whole class on a single instrument is much slower progress overall and it is harder to see who is progressing as they should. It is of course just different, but pupils who can develop the ability to work independently make much more progress and that is one of the big bonuses of Gigajam. It definitely puts the ownership of learning onto the pupil, and I am more able to spend more time with those that need my support. How do you see Gigajam being used to develop next year? We will change some of the set up, building on the experiences gleaned this year and of course we will then have our year 6 pupils who will be on their second year of Gigajam, so that will mean we have advancing players benefiting from a sustained duration of instrumental tuition. This should feed well into even better performances and open up access to new routes of progression. It will also be very easy to spot genuine talent. Some of the pupils will also be able to complete the grades, as they have built up their portfolios, so we should see a good clutch of pupils at year 6 with debut and grade one music exams simply by working every week with Gigajam. It has been surprising how much progress some of the pupils can make. Pupils can work at their own pace in a group and some are already at grade 1 level even though they are in the lower year 5. It very much feels that learning is at stage rather than age in this environment.